A NEWBORN PERVIN DELIVERED AT PARIS, FRANCE !!! According to Yuri A. Pervin in Moscow, his daughter Nadia Pervin had a birth to a boy baby. She and her spouse Michael Burdzelian named their son "Mark"
Чистосердечное поздравление молодоженным – Егору и Марине Первиным ! Our sincere congratulations to the newlywed, Egor and Marina Pervins ! I would like to inform you about the latest news of the Pervins tree. Today (in six hours) a new Pervin -- Marina -- joins our family. Today is a wedding of my son, Egor. Marina is his bride. I am sending you two pictures of Samuil Pervin. The one on the left was taken shortly before his wedding day with his wife Feige. The other one on the right - long time after, 2-3 years before the Great October Revolution. 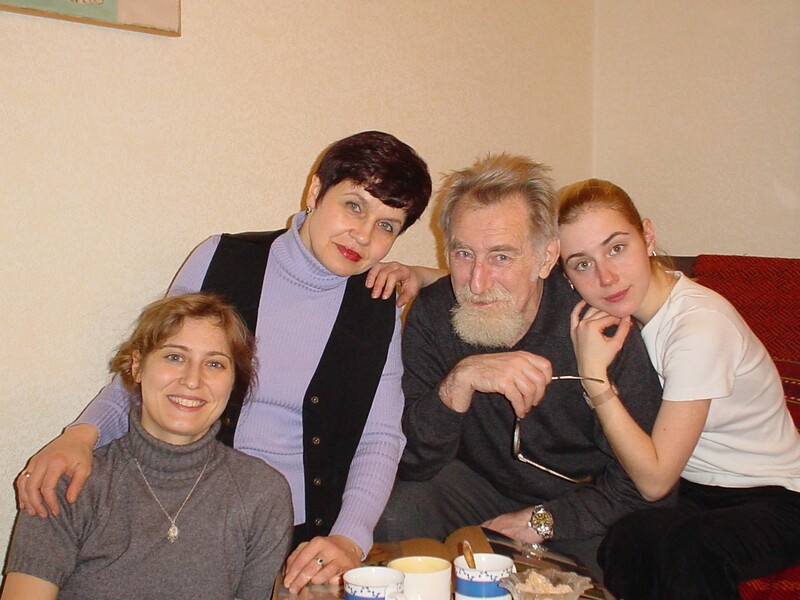 The Pervin family in Moscow had memory of daughters of Samuil Pervin immigrated to Pittsburgh, Pa. They were Luba and Berta Pervin. For the US side records, ellisislands.com listed Bertha Pervin arrived at Ellis Island on April 11, 1913. Ever since Yuri A. Pervin informed us the old addresses of Luba and Berta in Pittsburgh listed with their married names, an intensive search for the descendants of Luba and Berta has been taken place by the Pittsburgh Pervin. As for the results, the descendents of Luba and Berta have been located and the Tree VIII for Luba and the Tree IX for Berta have been created respectively. According to the correspondence dated March 24 and 28, 2002, from Dr. Yuri Pervin in Moscov, he has found diaries written by Samuil Pervin. The diaries indicated that Samuil's father, Jacob married to a woman who had a son and a daughter from her previous marriage. Dr. Pervin hypothesizes that her son was Zev of the Pittsburgh Pervin who immigrated to America. The Pervin family in Moscow has memories of two daughters of Samuil Pervin immigrated to Pittsburgh, Pa. They were Luba and Berta Pervin. For the US side records, ellisislands.com listed Bertha Pervin arrived at Ellis Island on April 11, 1913. However, the current Pervin family in Pittsburgh had no records for Luba and Berta. Now, in his latest mail, Yuri A. Pervin has informed us the old addresses of Luba and Berta in Pittsburgh listed with their married names. This may assist us for locating of the descendants of Luba and Berta. I have found the addresses of Luba and Berta in Pittsburgh. These addresses about which Lisa wrote, I found in the Marina's possession, along with others writings of her grandmother, the wife of Yevsey. These writings are dated in 1933-1935 years and were made by the Yevsey's wife. But I do not know the dates of the addresses themselves. Take a closer look here, Cooper is written differently here, not like it was written in a document of the ship manifest at Ellis Islands Records - Kuper; Cooper, in Russian-Kuptsov, this is the man who married Luba in America. 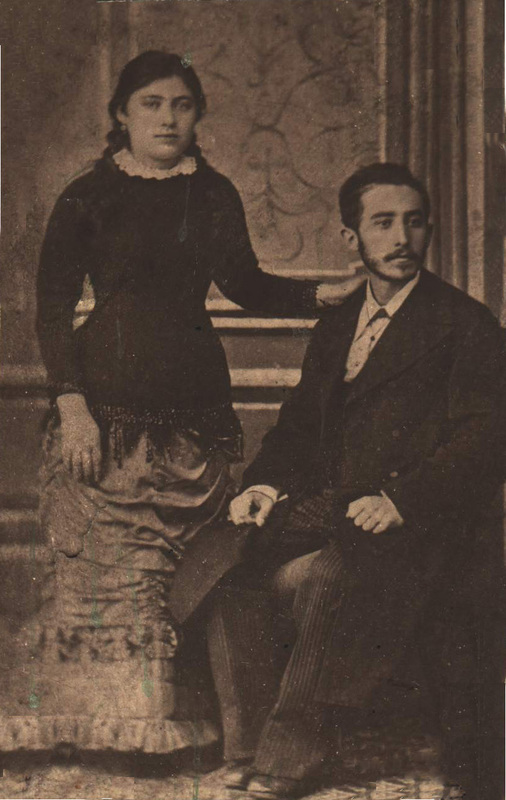 Berta's husband , Nidelman, a man whom Berta married just before she left for America. Nedelman is one of the students of Samuel Pervin. I held in my hands two very important documents. First, it was the manuscript of grand father Samuil, which is held in the possession of Maria, the granddaughter of Yevsey. Grand father Samuil surprised me quite well. I always knew him as a poet who wrote poems as greetings to his many grandchildren including me. But a such a powerful prose I have never expected to see from him . His scripts are written with a great accuracy- not even one misspelling or any errors. Pure and clear Russian language (but phrases are long). All commas are put in their places, where they are supposed to be. Very clear handwriting. That what it means a village teacher! The truth is that in these autobiographical diaries, I have found much less information about the genealogical than I expected. Neverthless there is a story about the father Jacob Pervin and about mother, and about the wife, and about many other relatives. The other interesting materials is the detail and long biography of Yevsey, dated 1935 (two years before his excution by shooting. Ironically the Yevsey's manuscript was preserved in much worth condition than the manuscript of his father - grandfather Samuil. There are some sentences which are very difficult to read and some are impossible to read. I am continuing my story about Pervins, in particular, how Pervins have found themselves in Moscow. I am talking here about Pervins -- children's of Samuil, my grandfather. There are three such Pervins. Esphili (Esther) and her husband Moisey had two daughters, Yudya (Yudith) and Galya (Galina). Galina passed away and Yudith presently lives in Israel. She is 83 years old. Her daughter, Natasha also lives in Israel. She published Samuil's diaries in Hebrew. 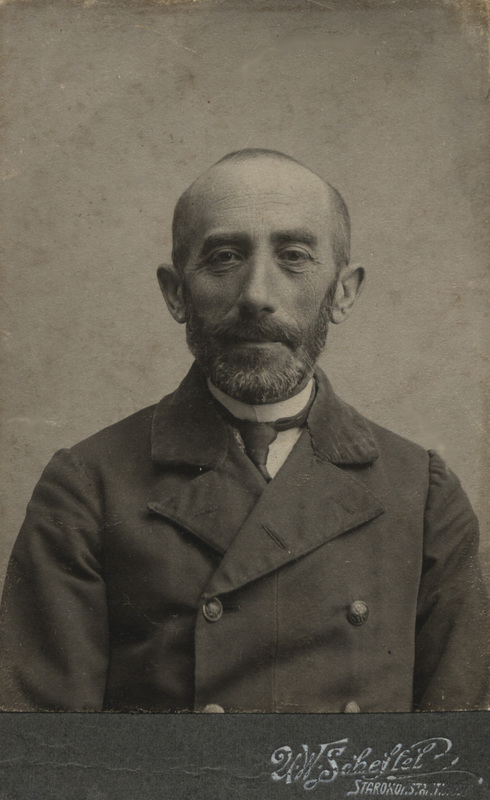 In the years preceding the great October Social revolution, Yevsey (Evsey) left Russia as young man for the Liezh University, in Belgium. He was staying at his relative's place whose husband's family name "Karp". This woman could be a sister of Zev and, therefore, a sister of Samuil. 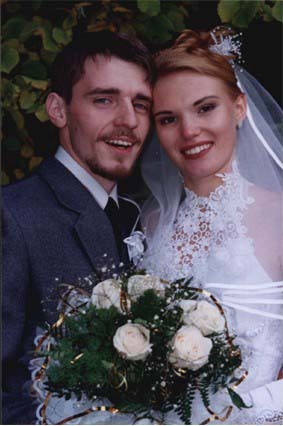 I mentioned of my assumption, in my last mail dated March 24, that the wife of Yacob had more than one child from her first marriage - a boy Zev and a girl. During the first world war German deported many Jews, in particular, among the deported were all relatives of Yevsey Pervin. After the revolution, Yevisey affirmatively accepted the communist side. He became a member of the communist party and because of his education he got quickly promoted on his service party career. That is why he was transferred to Moscow. Occupying a high administrative and party positions, he always remembered about his family. He helped his younger brother, my father, Abraham, who later was accepted in an Air Force Military Academy and became an officer of Soviet Army. My father stayed in Moscow for duration of his study in the Academy, and later lived with his family in Tanganrog, survived the war and after the war was transformed to Gorky (presently Niezhniy Novgrod). I was born during my father's studying in the academy. I can consider myself to be a Moscovite only by birth, since when I turned only six month old, I left Moscow with my father and mother. Returning to the faith of Yevesey, the last place of his work became Oaf, the capital of Bashikiria republic. His new position was equal to the position of an aid of the Central Committee Secretary (position in the communist party of USSR). His life ended in 1937. Yevesy was arrested as many honest people were, at that time, and was shot. 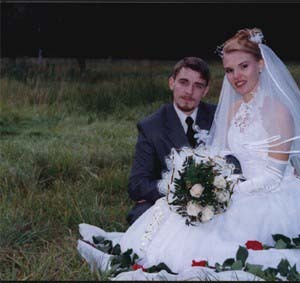 His children- Marina and Vladimir, lived with us in our family. Vladimir left to war as a volunteer when he was very young man. He was a tank mechanic during the war which he survived. He received many rewards. During the last days of fighting, he was heavily wounded. The children of Yevesey - Vladimir and Mura are dead. The daughter of Marina, Mauruina is the Moscow keeper of the diaries of the grandfather, Samuil. I shall start with a sad news. I do not know Leib Nikolayvitch Pervin. The happiest news is the fact that the diaries of Samuil Yakovlevitch Pervin were found and can be read without much efforts. I had two evening phone conversations with Marina, daughter of my cousin, Ilya. I am for the first time writing about a generation preceding that of Samuil Yakovlevitch. I am talking about my great grandfather - Yakov. He was born approximately in the year 1820th. The place of birth I do not know but assume he spent in a place allocated for Jews in Ksar Russia - that is at the South West of Kiev, Berdichev, Zhitomir, Venitsa, in Ukraine. Yakov is very important figure in the genealogical tree because with him started the family name Pervin. The word "Pervin" comes from the Russian adjective word "First". In his place of living he was the first person who supplied the drinking water from near by well for the village. Thus, the first water deliverer in the village, Yakov, received the name "First" which later became his family name and which was passed to the next generations. Yakov married to a young woman who already had a child or children. After his marriage, Yakov had his children with his wife. Among them was Yakov ? who had a very good relationship with his older brother. There is a reason to believe this older brother was Zev Pervin, the pioneer of the American Tree. Zev lived with his family in Ukraine until he was called up to the army. Trying to avoid the recruitment he left for Warsaw, alone, the capital of Poland, which even though was a Russian province at that time, but was a quite autonomous province. There was relatively easy for a young Jew to hide from the recruitment into the Russian army. Such underground life made it difficult to use the state passport. Samuil, in his diaries, wrote that Zev needed to make different name and "Wolf" was taken. This name was quite common name in Poland as well as in the neighboring Germany. Twenty years old Samuil traveled to Warsaw to his beloved brother to look for a job there. But the result of this trip was unsuccessful, the underground situation of Zev did not give him a chance to help to his younger brother. I cannot exclude the fact that the immigration of Zev to America was the result of this instability in life in Russia. Today, I made an another day trip to Moscow and have found out new information. It concerns the date of Berth's departure from Vinnitsa. It was March 6, 1913. That means today marks the 89th anniversary. Nina, the widow of Vlkadimir Pervin gave me this information over the telephone, by reading a note, hand written by Samuil Pervin. The following article is an excerpt from the e-mail written in Russian by Dr. Yuri A. Pervin on February 25, 2002. The article is translated by the pervin.net/. I remember now that my aunt's name was Berta, who left Ukraine after the Jewish "Pogroms" of the year 1906. It has been already two months since Nadya Pervin, my oldest daughter changed her family name to the family name of her husband. Michael Burdzelian - is an artist, a citizen of France, but his ancestors are Jewish-Armenians and Russians. Returning from Moscow, I have gathered information to build our genealogical tree. During this voyage to Moscow, I met my relatives and confirmed some details. Samuil Yakonovitch was born in or near the Berditchev village in Ukraine in 1861 and died in 1943 at Moscow. 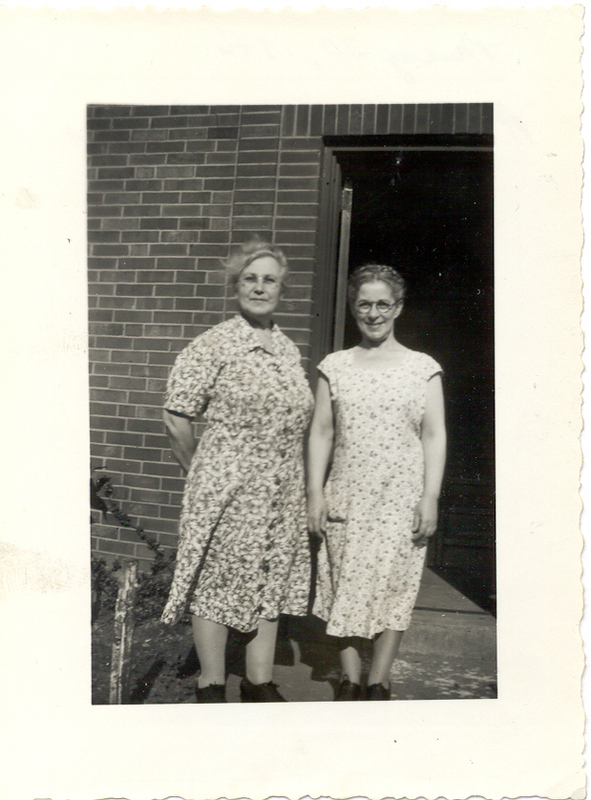 It was understood that two oldest daughters of Samuil, Bertha and Luba, left Berdichev for the USA and arrived to Pittsburgh sometime between 1886 and 1888. According to one of my 80 year old relatives, they went to see their uncle who lived in Pittsburgh. That may lead you to hypothesize that Samuil might have been a younger brother to Zev. A record of these sisters' address should have been kept in the summer cottage owned by one of the relatives near Moscow. I only know that both of the sisters were married and one carried a surname Cooper. They left for the US together, however, I have just found out the fact it was not in 1906 but was in 1915 unlike my father once told me. I received this information a half hour ago from my 83 year old cousin, Yudith, who lives in Israel. She is a daughter of Esther. Yudith has a daughter named Natacha who also is living in Haifa, Israel. Natacha shows a great interest in the Pervin history. She wrote a book, the first part of the memoirs of her great-grandfather, Samuil. There is a hand-written manuscript of the second part stored at the above stated summer cottage near by Moscow. This Spring, I am going to get it. There are 9 names listed for Samuil's children, though there should have been 11 to 13. They said 4 of them died in infancy. There has been the first contact from Russia made by Dr. Yuri A. Pervin who introduces his Pervin Tree here. Dr. Pervin is Professor of Pedagogical Sciences at http://come.to/pervin/. According to him, his grandfather Samuil Yakolevitch Pervin had 11 children. The oldest of the first three children (two sons and one daughter) departed to the United States in 1906. One of them was remembered by the family who lived in Pittsburgh. The first generation in the United States for the Pervin branch at Pittsburgh is known to be Zev (Wolf William) Pervin. He came from Berdichev around 1891 according to his descending family. 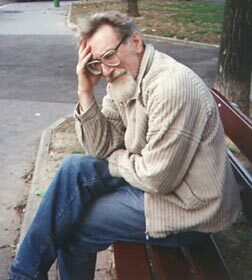 Samuil Yakolevich once lived in Berdichev before he moved to Vinnytsa, at which city Abram Samoilovitch, Dr. Pervin's father was born. Vinnytsa is a city less than 10 miles from Litin where Yahuda (Leib) Pervin came from. These facts lead us to speculate Zev Pervin is closely related to Samuil Yakolevitch. And also one can speculate Yahuda Pervin as well related to Samuil Yakolevitch. Among the descending family of Yahuda, there has been expressed a stunning resemblance of Dr. Pervin's feature to all the family members of the Pervin branch from Toledo, Ohio. My father Abram Samoilovitch Pervin died in 1984. His older sister, Rebekka died in 1985. His brother Borris died in 1974. His brother Evsey was executed in 1937. His brother Mark was lost in civil war on Ukraine. My grandfather was called Samuil Yakovlevitch Pervin, who died in Moscow in December 1941 of famine. He worked as a teacher at Ukraine villages, Jitomir and Berditchev for a long time. But his last child - my father Abram - was born in 1906. The grandsons of Samuil Yakovlevitch have now all died. They are Vladimir(hero of Great Patriotic War), son of Evsey, Ilia(scientist-pedagogue), the son of Boris and Rebekka who did not have any children. She died at 88 years of age. Mark died very young. I am the last Russian grandson. However, the generation of the great-grandsons proceed. Some of them live in Moscow. I have five children. I do not know the names of my uncles who departed to America. But within our family we are told that some of them lived in Pittsburgh. My older daughter is married and lives in Paris and now she has her French citizenship. NOTE: This text was translated in English by program "Stylus".